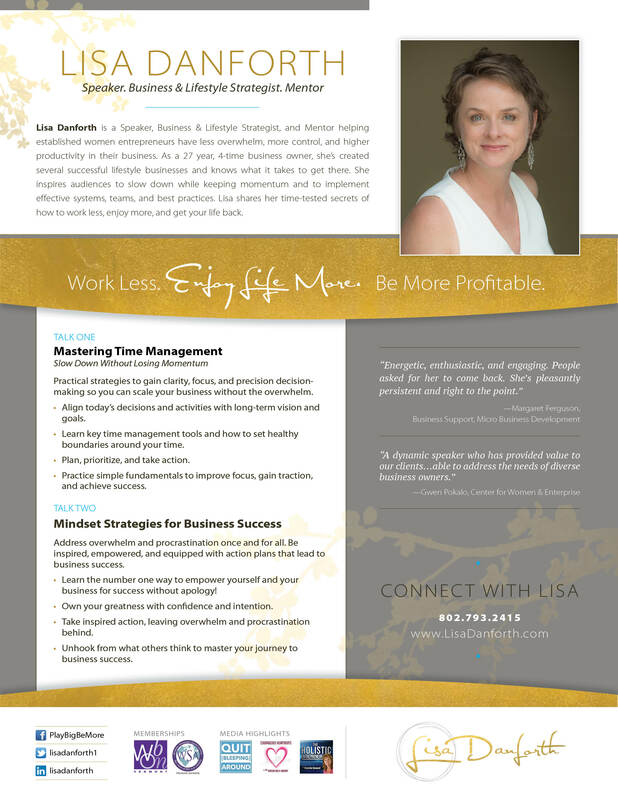 Lisa brings her 27 year, 4-time business owner experience to women entrepreneurs searching for less overwhelm, more control, and higher productivity in their business. For talks on entrepreneurialism, balance and boundaries, mindset, time management, productivity, and personal development that will have women in business ready to hit the ground running, Lisa delivers strategies that get the job done. Click to Download Lisa’s Speaker One Sheet.